The period of social and economic change that transformed America from an agrarian society into an industrial one, involving the extensive re-organisation of an economy for the purpose of manufacturing. Technological advances during this time of the industrialization process is one of its main driving forces. 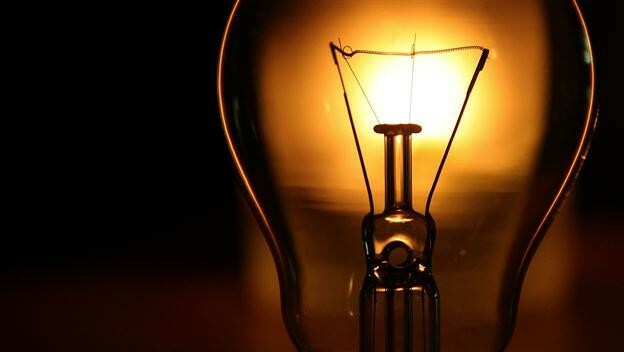 The introduction of new technologies is one of the several important factors which directly and change the context and modes of industrialization in America such as the light bulb, invented by Thomas Edison. Entertainment grew during this time. Pubs appeared during the industrial revolution as a place for Americans to drink and socialize. Laws were passed to limit work day hours, so people had more free time in the evening to do activities such as movies with inexpensive admission that all could afford. 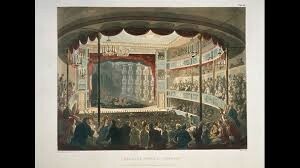 Also the circus, new transportation such as railways allowed performers and animals to be transported. During all of this, monopolies were made where on business in a industry buys out all of its competitors. This leads to higher prices and inferior products. For example, Rockefeller used horizontal integration to sell a type of product such as oil in numerous markets. Rockefeller used and bought out several competitors eventually leading to a monopoly. 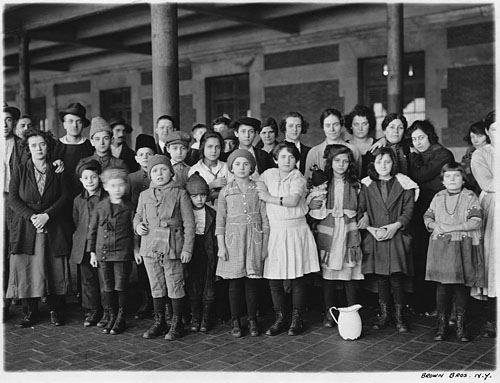 The U.S. experienced major waves of immigration during the industrial era, the first part of the 19th century and from the 1880s to 1920. Many immigrants came to America seeking greater economic opportunity, while others arrived in search of religious freedom. 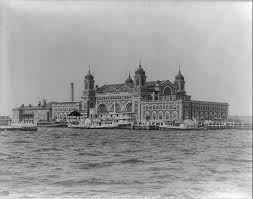 The U.S. regulated immigration before the opening of Ellis Island 1892, the country’s first immigration station. 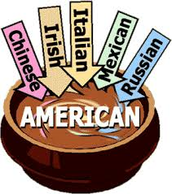 Since the beginning of America, it has been a nation of immigrants. First with its original inhabitants, who crossed the land bridge connecting North America to Asia thousands of years ago. Thus making the United States a place where a variety of races, cultures, or individuals combine into a whole, also known as a melting pot. Immigration was a major factor in helping the U.S. financially with the millions who came to America for job opportunities. 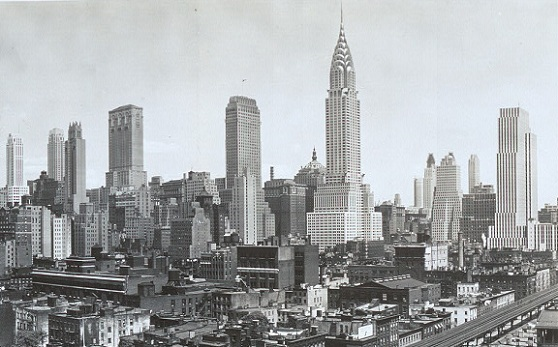 Cities have been the pioneers of American growth. 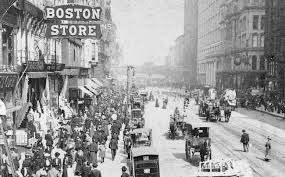 Cities were the staging points for the large economic success and growth throughout the end of the 19th century and into the 20th century thus forming the world of American society today. In these exploding American cities there was a need for a fast, easy and efficient way of transportation. 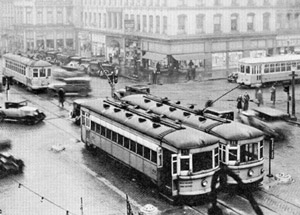 Urbanization contributed to the development of urban transportation systems such as rail systems and busses. The increase in urban activity in the second half of the 19th century augmented the need for city business space. Offices were being built instead of out, this is now known as a skyscraper. 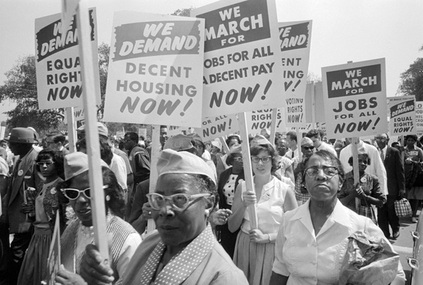 This was a political movement that addressed ideas, impulses and issues stemming from modernization of American society. This was a reform movement that reached its height early in the 20th century. 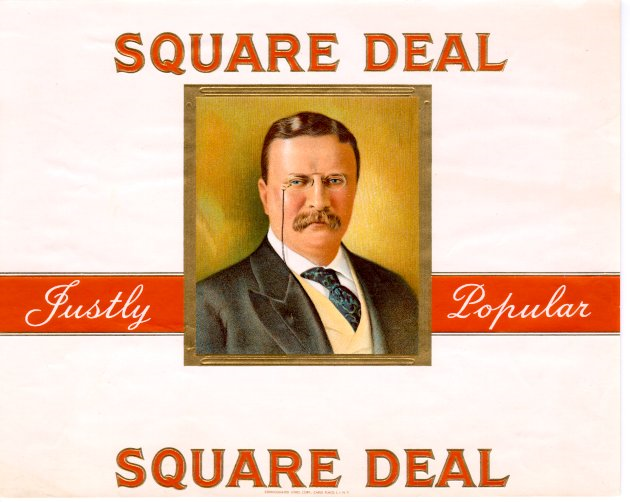 President Theodore Roosevelt incorporated his Square Deal into the Progressive Party. This was his approach to current social problems. It embraced Roosevelt’s idealistic view of labor, parenthood, citizenship and ethics. 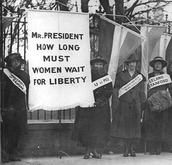 All four of the Progressive Era amendments were ratified during Wilson's presidency such as the 19th amendment. 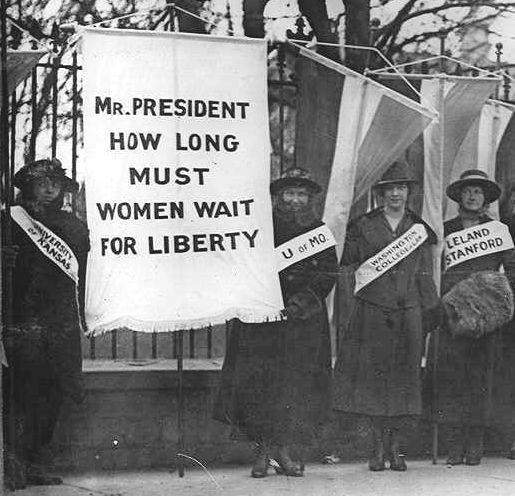 The 19th amendment granted American women the right to vote. This milestone was a lengthy and difficult struggle for women of the 19th and 20th century. Imperial was a major factor contributing to the start of World War 1. Imperialism is when a country increases their power and wealth by bringing additional territories under their control. The increasing competition and race for greater empires led to an increase of confrontation that pushed the start of World War 1. 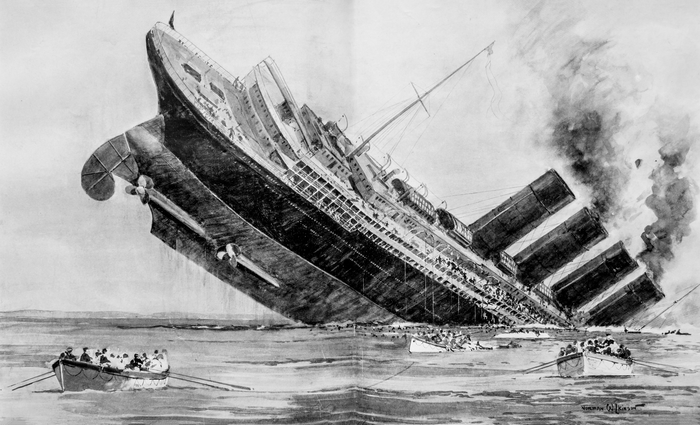 The U.S. remained neutral for the first part of World War 1 until a series of conflicts with Germany such as the sinking of the Lusitania. German submarine sunk this boat and killed 128 Americans board - unrestricted submarine warfare. This enraged Americans to enter the war. At the start of the war, the U.S. economy was in recession. But a four year economic boom ensued from 1914 to 1918 when Europeans began purchasing U.S. goods for the war. 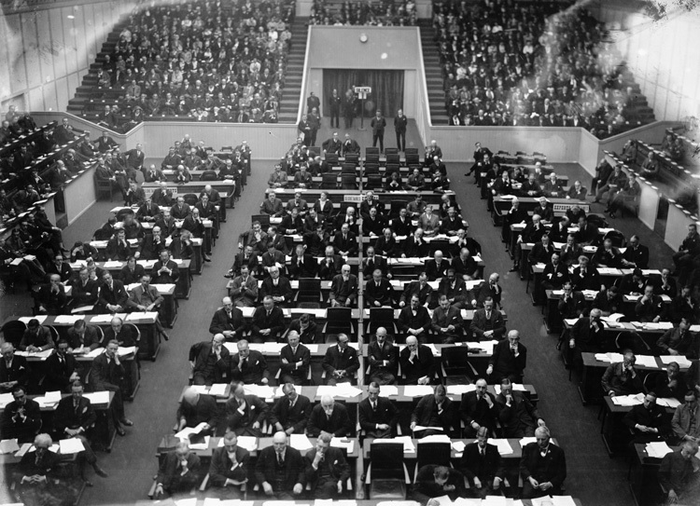 Once the war came to an end in 1918 the League of Nations was formed to provide a forum for resolving international disputes. One of its primary goals was to prevent further wars through collective security, disarmament and settling international disputes.